Come spend your Christmas holidays with Magerealm! We're going to hold a Grand Celebration with the debut of a NEW Angel, NEW Hero, NEW Christmas Fashion and Wings, and tons of game events! The picture is for reference only, everything is subject to actual in-game event. 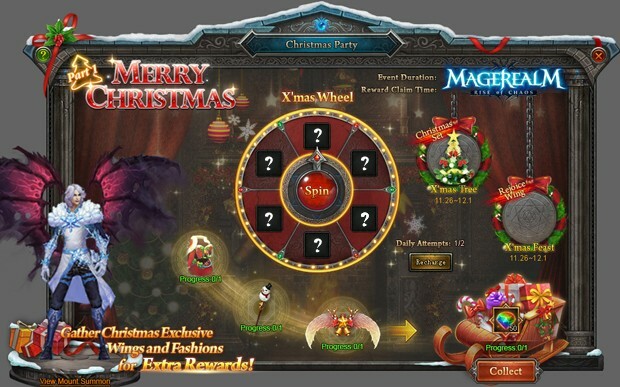 X'mas wheel of fortune is here, receive up to 600% in returns! Each player has 1 chance at the wheel per day, with an additional chance for those who recharge! Do not miss out on this rare opportunity. Cook X'mas Feast to win X'mas Wing! What is X'mas without a grand X'mas feast? This time, players will be the chefs! Prepare your perfect X'mas dinner and have your creations scored to earn points that can be exchanged for great rewards! Players will choose from a limited selection of cooking ingredients and must come up with delicious X'mas dishes. 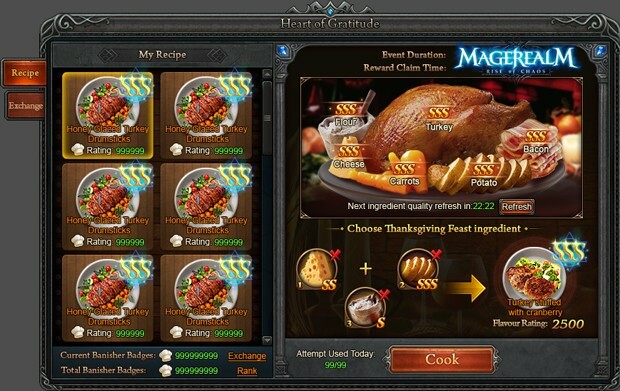 Cooking ingredients refresh at certain times so players can continue experimenting with their dishes. Every dish made will be recorded allowing players to see their culinary progress. 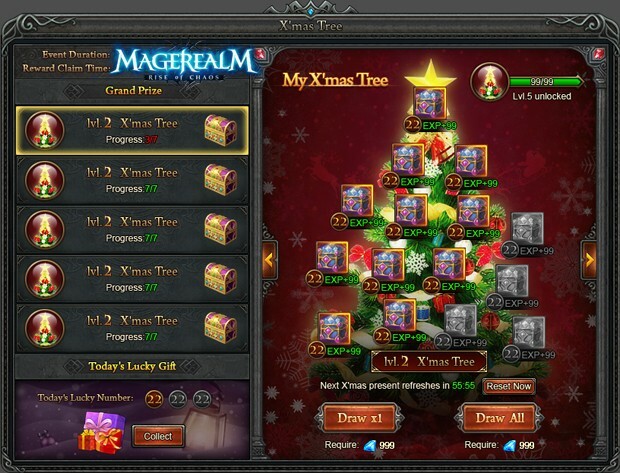 Players can draw gifts in different levels of Christmas trees. Get exprience from drawing gifts to level up your Christmas tree. Complete drawing of the whole tree to gather Christmas Exclusive Weapons and Fashions for Extra Rewards!